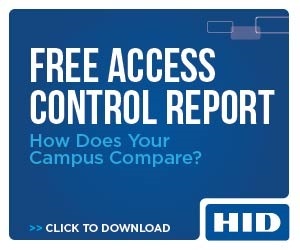 Large campus with thousands of students and few staff: the effective use of your radios to improve safety. With the expansion of the modern campus, resource can easily become stretched. Many universities and colleges are looking towards unified communications to assist on-site staff to manage the safety of their campus. Can digital two-way radios provide a solution? UK based education providers, even those utilising more comprehensive systems, are failing – or are unable to use their two-way radios to their full potential. This means that they are not getting the full return on their investment and must work more closely with their two-way radio provider to squeeze more value from the equipment they’ve already bought or upgrade to the latest technology. Usage across the UK is highly traditional, with a large proportion of systems being operated in a conventional radio-to-radio manner primarily for security purposes. Many are not maximising the health and safety solutions featured in two-way radio and the supporting applications. 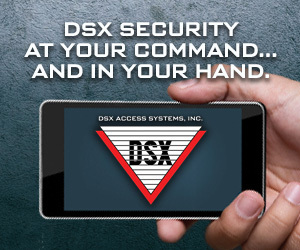 In other words, many campuses simply aren’t getting the most out of the devices that Security and Estate Managers and their teams carry around with them at all times. Does this sound familiar? Many organisations are supplementing their radio networks with mobile phones, which don’t offer the instant critical communications services required and themselves often drop-out in areas of poor coverage. Staff and Security run the risk of being unable to communicate and operate effectively during their working day, most critically during an emergency situation. It’s a perilous picture that highlights how many estates are on the brink of the point at which critical communications fail; putting an employee, staff or students at risk. For organisations that need to handle a high volume of calls, the ability to both give priority to certain calls on the system and integrate the digital radio with the public telephone network offers a modern solution that’s fit for purpose for today’s workplace. This is the direction of travel – instant communication whenever people need it, wherever they are across their facility – a single device that offers reliable coverage, improved productivity and Health and Safety gains, while reducing cost. When used to its full capability, a radio is more than just a radio - it’s a complete Health and Safety toolkit. Indeed, organisations should not view migration to a next-generation digital radio system or the addition of software solutions as a pipe dream or an expensive luxury – but a necessity. Because without a comprehensive communication network in place, the potential risk of an injury or fatality for Staff and students is significantly increased. Lone worker protection – just fine? Failure to equip Lone Workers with appropriate technologies is also becoming a common theme and the HSE are paying attention. Most worrying is the sheer number of universities and colleges that have employees operating in hazardous or remote locations, without appropriate communications equipment or protection. This leaves workers in a difficult situation. Despite having a number of communication tools there is no guarantee that they’ll be able to communicate fast in the event of an incident, or that their message will be clearly heard. And that increases the amount of time it takes to respond. The HSE has reported on cases where a lack of adequate communication facilities has resulted in an injury or fatality. In such scenarios, the tribunal costs alone far outweigh the investment in adding software to protect your staff using their two-way radio system. Recent legislation changes mean fines are on the increase, rising significantly in the last year. While Lone Worker is a legal requirement for organisations employing isolated workers in some countries across Europe, it is also a recommended safe working practice for UK employers. Disappointingly, given that the majority of users are working in Security or Health and Safety teams, only one-third of organisations offered workers Lone Worker technology. Even when staff regularly work in remote locations, a high proportion of businesses are still not using the GPS tracking feature built-in to advanced digital two-way radios. This failure to utilise GPS monitoring may result from a lack of understanding or awareness of feature itself – or fear of a potential push-back from employees concerned about the monitoring of their movements. But organisations able to debunk the ‘corporate snooping’ mythology by providing transparent communication and education for workers will be able to initiate integrated GPS services in their radio handsets to better monitor worker safety and respond to incidents quickly. What’s more, utilising the integrated GPS feature can help geo-fence and geo-locate employees. For instance, an alert can be sent to colleagues when an employee unwittingly strays into a hazardous area. In this instance, it is extremely important that the employee is contacted and warned. Clearly, utilising software applications to get the most out of a DMR radio system can greatly improve an organisation’s communications capacity, capability and responsiveness. But that’s not all, campuses report that the measurable workforce and operational productivity gains they’ve achieved following a two-way radio system upgrade could be enormous. GlobalView are a UK based software house helping to solve the issues, specialists in creating solutions that enhance the capabilities of two-way radio systems. Accredited by leading two-way radio manufacturers such as Motorola Solutions and Hytera they are paving the way in creating technology to reducing false alarms, improving response rates and protect lone workers. Alongside providing ease of management of emergency and critical alarms their InteraX software can deliver real-time location awareness of all users, instant awareness of emergency and those all-important Lone Worker alerts that give the user’s location with pinpoint accuracy via their handsets. GlobalView work with chosen radio partners to provide the full solution or can work closely with your existing radio supplier to integrate with your existing system; making it easy to efficiently manage employee communications while satisfying health and safety requirements.